New Delhi : The BLK Super Specialty Hospital here will organise Delhi’s biggest cancer awareness walk on October 23, the hospital authorities said. The walk would be organised by the hospital in collaboration with different stakeholders. 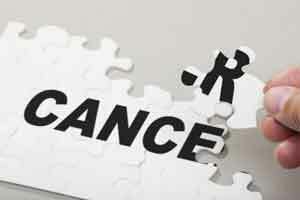 India continues to record over seven lakh deaths in India due to late diagnosis of cancers. According to Indian Council of Medical Research (ICMR), cancer cases in India are expected to jump from around 14 lakh in 2016 to over 17.3 lakh by 2020. Deaths due to cancer are also estimated to rise rapidly, from 7.36 lakh to over 8.8 lakh in the next four years. The campaign titled “Walk-A-Mile: It’s Worth Your While” will see over 1,000 participation from doctors, nurses, hospital staff besides large number of volunteers, social workers, corporates, banks, Public Sector Undertakings, and Residents Welfare Associations of the adjoining areas. “As a hospital, we understand how important it is to not only provide good treatment but also drive awareness around diseases. Cancer is curable. Awareness, early detection and treatment is the key to cure cancer,” said Kapil Kumar, Director, BLK Cancer Centre. The organisers said that the walk will start at 7 a.m. from BLK Super Speciality Hospital, will cover West Delhi area and termiante back at hospital. According to the hospital, the purpose of the walk is to spread cancer awareness among general public. Cancer survivors, who will be participating in the walk, will be a big source of inspiration to those who are suffering from cancer and the general public who are hesitant to even talk about the disease.